Cover for the deluxe edition of Flex Mentallo by Grant Morrison and Frank Quitely, out in February. Gamble $15 and order a copy. There just aren’t many other comics in its league. 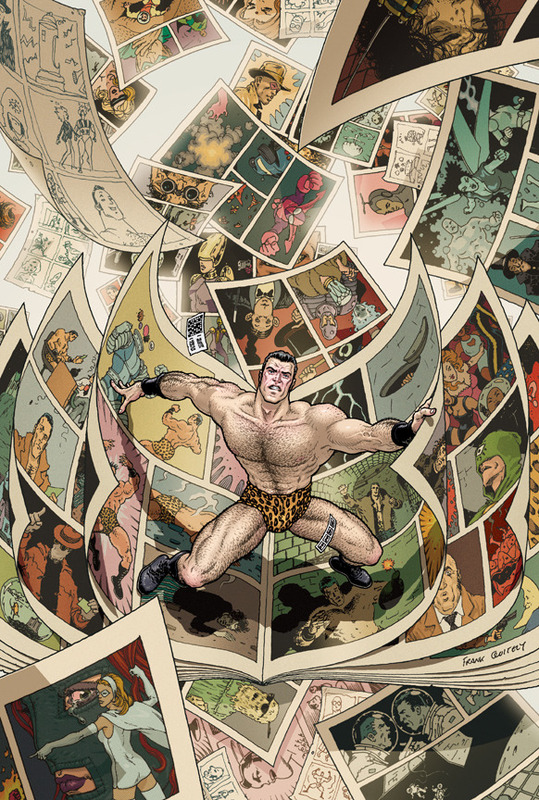 Initially released in 1996, Flex Mentallo has never been reprinted due to a lawsuit with the Charles Atlas company. The character of Flex Mentallo shares a strong resemblance with body builder Atlas and his origin is a parody of Atlas’s famous print ads. DC actually won the suit but never released a collected edition. It’s long been one of those difficult-to-find masterpieces, though I’m sure many have experienced it via downloaded scans. A full run of the original four-issue series easily goes for $100 on eBay.